What is it about this club and last day escapes? 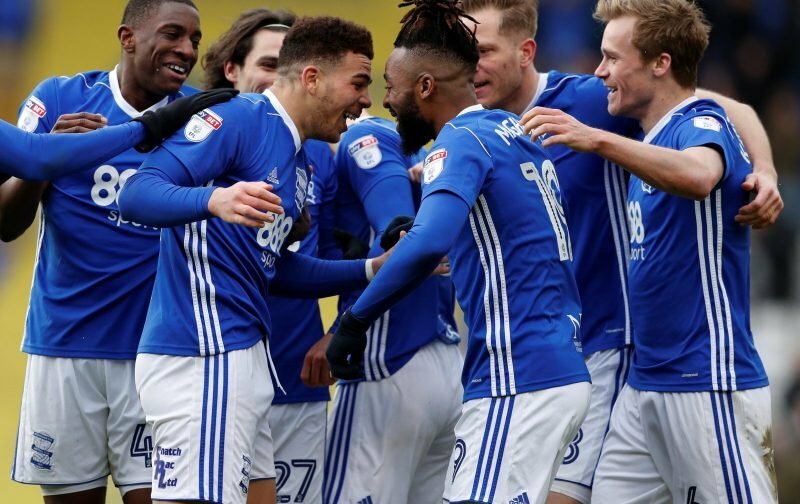 For the third season in five, Birmingham City found themselves in the midst of a relegation battle on the final day of the Championship season. Once again, they managed to haul themselves away from trouble in the nick of time. Unlike Bolton in 2014 and Bristol City in 2017, yesterday’s win over promotion-chasing Fulham was fairly comfortable. Aside from a few nervy moments, the visitors were unusually timid and Garry Monk’s team deserve much credit for that. Star players such as Ryan Sessegnon, Tom Cairney and Ryan Fredericks didn’t have it all their own way. Their attacking freedom was nullified by having to deal with the marauding runs of Jacques Maghoma, the trickery of Jota and the defensive solidity of Harlee Dean and Michael Morrison. When they did find a spare blade of grass, the outstanding Wes Harding and Maxime Colin were on hand to suffocate any pending danger. As soon as Lukas Jutkiewicz cooly converted Harding’s cross to put Blues ahead in the 15th minute, there was very little to worry the sold-out St. Andrew’s crowd. When Harlee Dean headed in the second two minutes before the interval, Blues were on the verge of safety once again. To their credit, Slavisa Jokanovic’s side came out fighting in the second half. For some time, they pinned Blues back in their own half. But for all their possession, Fulham created little by way of chances as the hosts stood firm. Cairney did pull one back in the 84th minute, getting the better of David Stockdale and bundling the ball over the line. Shortly after, the anonymous Aleksandar Mitrović sprang into life with a looping header which Stockdale managed to fingertip over the bar. However, the Fulham kitchen sink which was about to be thrown was made redundant when Che Adams’ fine solo effort restored the two goals cushion and ensured Blues’ safety – and in some style. So another season in the Championship is assured. Let’s hope that these near scrapes are a thing of the past. With Garry Monk in charge they should be a thing of the past. Lets hope the recruitment in the summer goes well for him. Today’s article by Almajir has somewhat dampened our current joy of yesterday’s match.FFP was addressed last January when ,urgently,a meeting was set up for one of ‘our owners’ to attend in London with the FA and league. My own sources revealed a successful outcome.Whilst not doubting Almajir,who I have the highest regard,I do feel this time around this issue has been resolved.This particular meeting took on great importance,overshadowing our then current plight and the withdrawal of any player signing. It is sorted as far I am concerned.